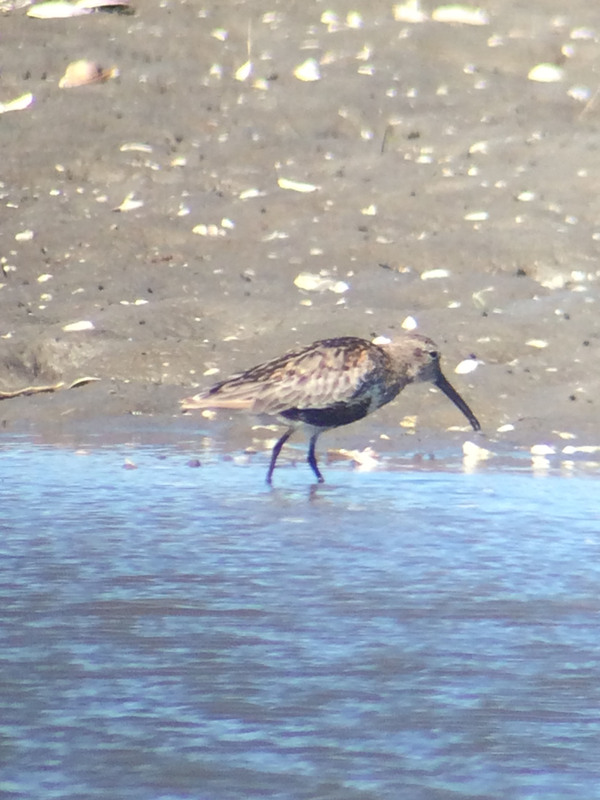 This entry was posted in Birding in Maine and tagged "Birds, Baird's Sandpiper, Birding, Eastern Road Trail, Saltmarsh Sparrow, Scarborough Marsh, Semipalmated Sandpiper, Stilt Sandpiper, Tricolored Heron x Snowy Egret hybrid, White-faced Ibis, Wilson's Phalarope on August 7, 2017 by Derek. I think it is safe to say that the inaugural “Coastal Quick Hit” van tour was a resounding success! We not only found all of the target species that we were after, but also a few surprises, and we saw all of our target species incredibly well! And we really lucked out with the weather, as the only rain we encountered was a brief downpour while we were driving. I have “no” doubt that all future tours will be this successful. We receive numerous requests for guiding for several local breeding species that can be hard, if not impossible, to see elsewhere. 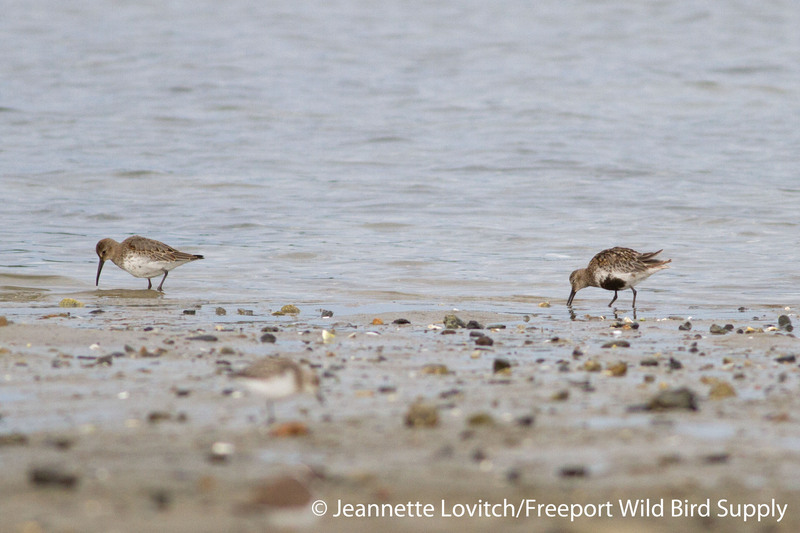 While Bicknell’s Thrush is my number one request, there are a number of coastal species that are also sought. Folks travel from far and wide for our annual “Bicknell’s Thrushes of the White Mountains” van trip, and often I get requests for private guiding for many of the other species before and after that tour. Therefore, for efficiency and economy, we introduced the “Coastal Quick Hit” tour. We had four visitors from California on board who were here to take part in the weekend’s thrush tour, plus three local birders out for the day. The eight of us met here at the store on Friday morning, and worked our way south. Beginning in Scarborough Marsh, we had the opportunity to study Saltmarsh and Nelson’s Sparrows side-by-side, and ponder over some hybrids as well. 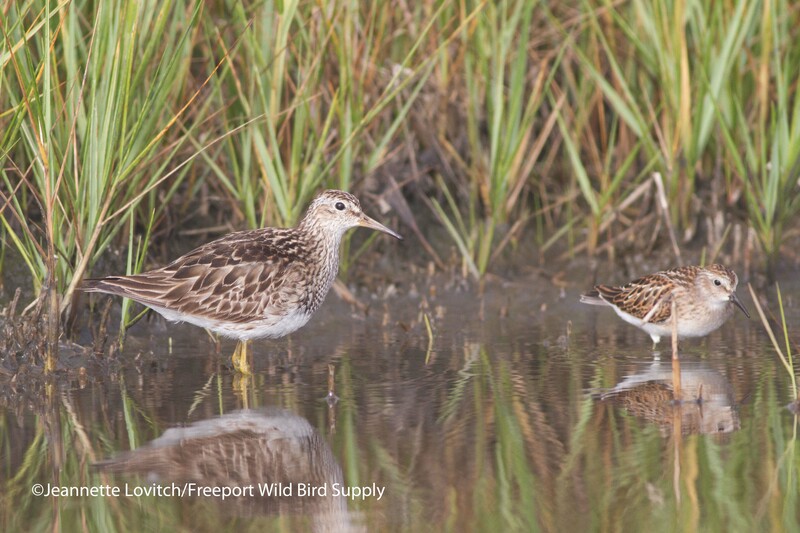 We compared their songs and subtleties of identification – and learned how to simply leave many, likely hybrids and intergrades, as unidentified. 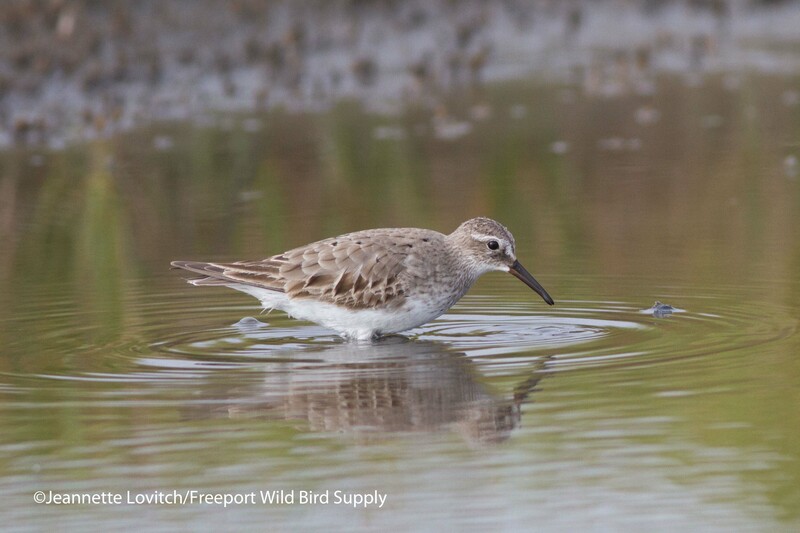 Meanwhile, “Eastern” Willets and many other marsh denizens were numerous, and several sparrows and Willets posed for photos. Walking the Eastern Road Trail, a Fish Crow was unexpected, and we enjoyed Little Blue Herons, Great and Snowy Egrets, and more. We then found this wading bird, which immediately brought to mind one of the ultra-rare Tricolored Heron x Snowy Egret (and now, possible a backcross there of) that calls Scarborough Marsh home. However, it soon became clear that this was a “pure” Little Blue Heron – nothing about its shape, size, structure, or behavior (a regular adult was nearby, and sometimes in the same field of view) was suggestive of anything else (or partly anything else), and so I hypothesized about a leucistic Little Blue Heron. Immature (1st through 2nd summer) little blues are piebald, but this was much, much paler than what I usually see, with more of a uniform “wash” of the purple-blue on the body and wings. What threw me off a bit were the essentially fully-developed head and back plumes (the “aigrettes”) that I did not think were present on a bird who’s plumage was this early in development. 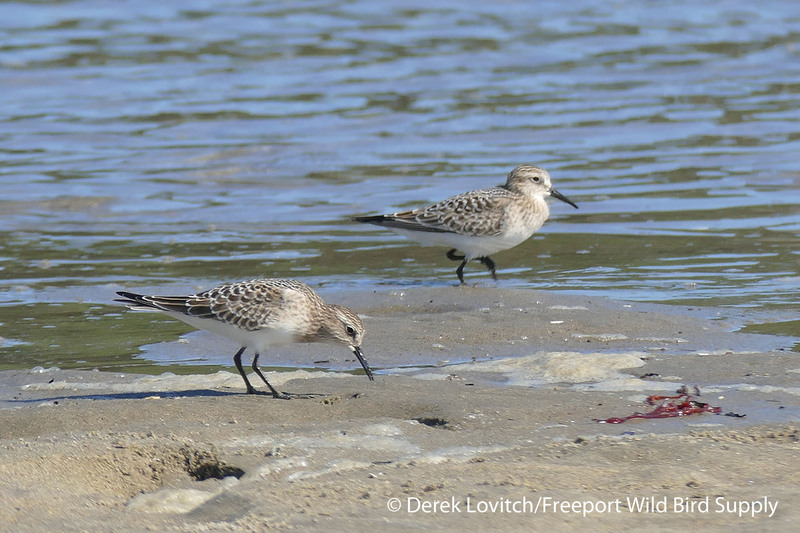 A little research showed those plumes were just fine for a 1st-summer bird, even one in which so little adult-like plumage had been obtained. Therefore, unless this bird looks exactly the same come fall, I think it’s just a paler-than-average 1st summer Little Blue Heron. Nevertheless, it was a fun bird to study and ponder – offering a lesson in comparing shape, structure, and behavior in two birds that didn’t look the same. 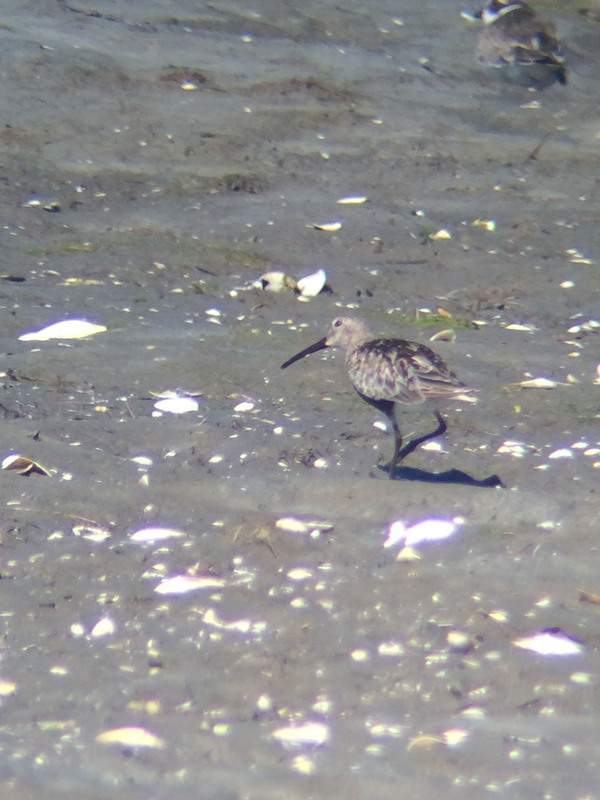 Also off Eastern Road, we noted Glossy Ibis, American Black Ducks, and a White-rumped Sandpiper in spiffy breeding plumage – a treat for folks from the West Coast, and not a bird we see many of in spring here in the Northeast. 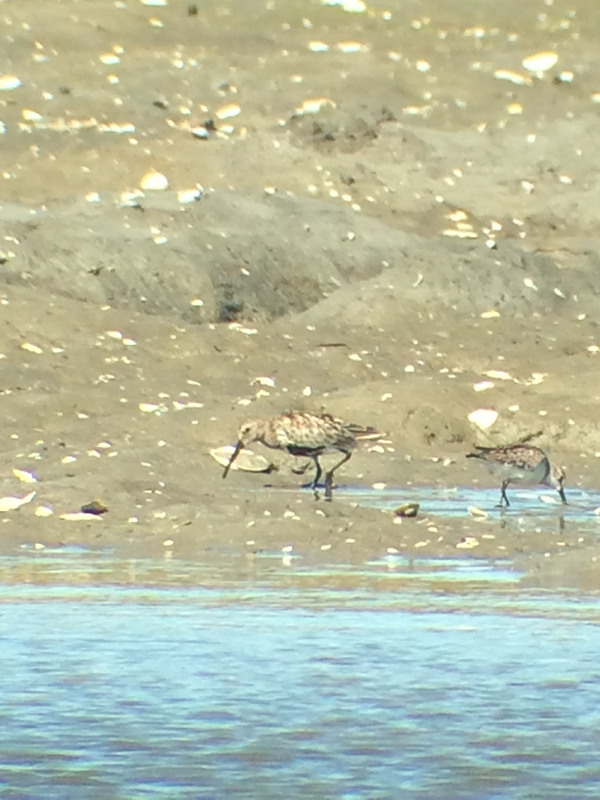 It was hanging out with 4 tardy Semipalmated Sandpipers. A drake Gadwall at the Pelreco marsh was a nice sight as well. 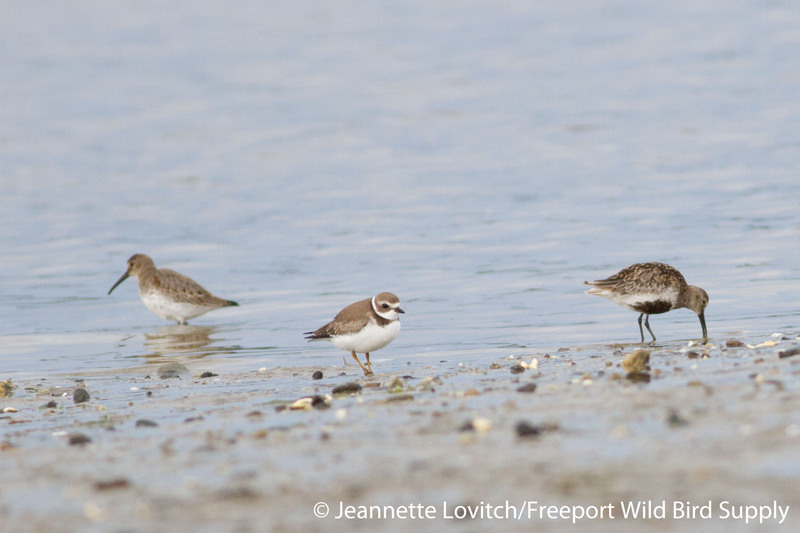 Four unseasonable Brant greeted us at Pine Point, where we soon spotted one of our most sought-after species, Roseate Tern. At least 8, and likely many times that, as birds were coming and going, were quickly picked out from the crowds of Common Terns, with plenty of Least Terns zipping around. This tour was designed to have at least two chances at all of our target species, but we “cleaned up” in Scarborough, so we elected to brake up our upcoming drive with a stop in Webhannet Marsh near Moody Point for a visit with the King Rail that, for the second summer in a row, has occupied a small corner of the marsh. 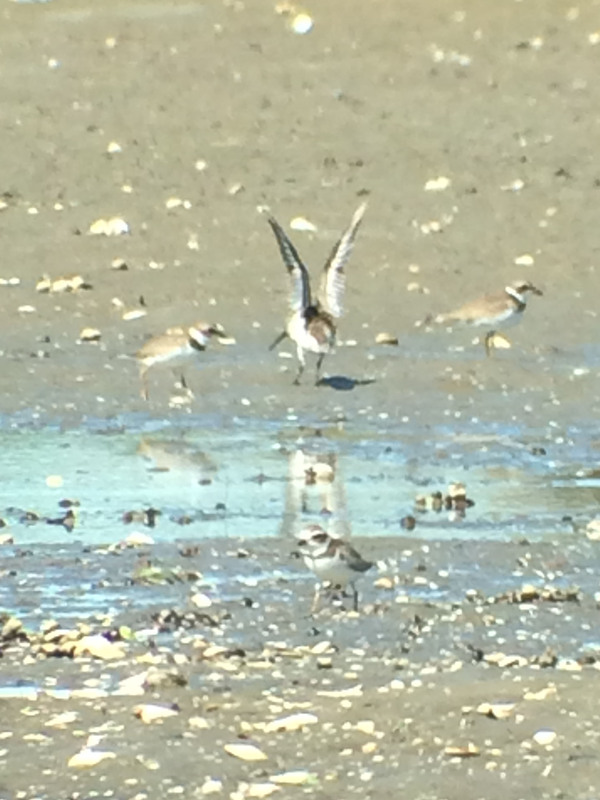 While waiting for it, we spotted more Willets, and had another great view of a Saltmarsh Sparrow or too. The rail never called, but about 2/3rds of the group, myself NOT included, were able to spot the rail as it crossed two successive small openings in the marsh grass. The rest of us were just a little too far up the road, and it never made it to the third clearing we were stationed at. But still, a King Rail in the middle of the afternoon! A loafing Surf Scoter with Common Eiders offshore was also unexpected. A delicious lunch fueled the rest of our drive south and the timing of the rainfall could not have been better. Traffic was relatively minimal as we fought our way through the outskirts of Boston, arriving at Revere Beach just as a thunderstorm passed to our south. 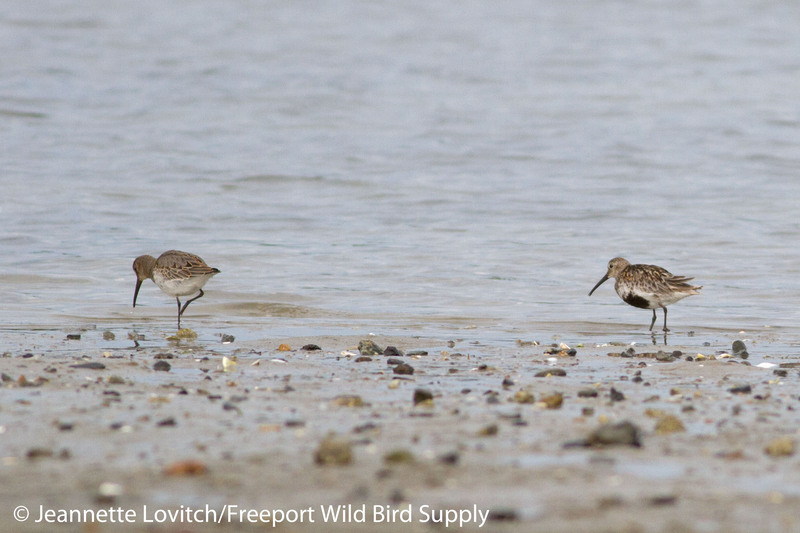 …from land, in a city, and not very far offshore! 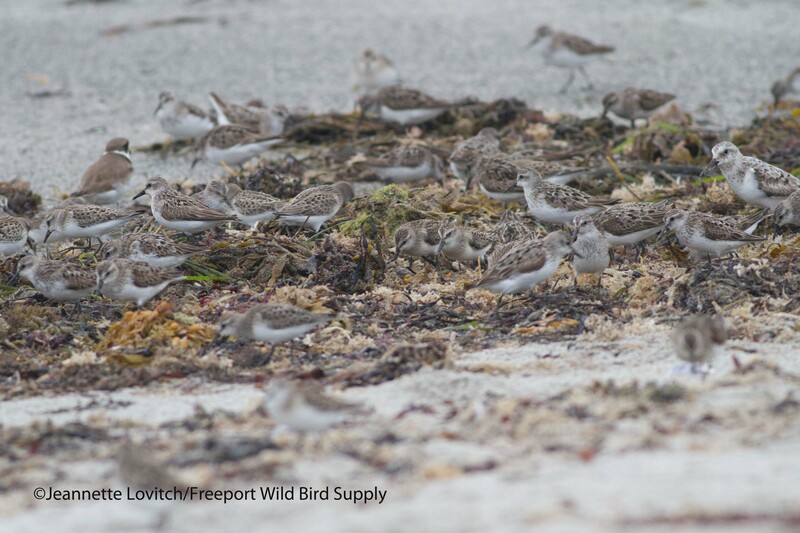 This incredible phenomena (they are clearly nesting locally, but where!? One of the Boston Harbor Islands?) was the icing on the cake to a most-successful trip. Based on these results, you can expect to see the “Coastal Quick Hit” van tour again in 2018 and beyond. Stay tuned to the Tours, Events, and Workshops Page of www.freeportwildbirdsupply.com for more information about this and all of our tours. 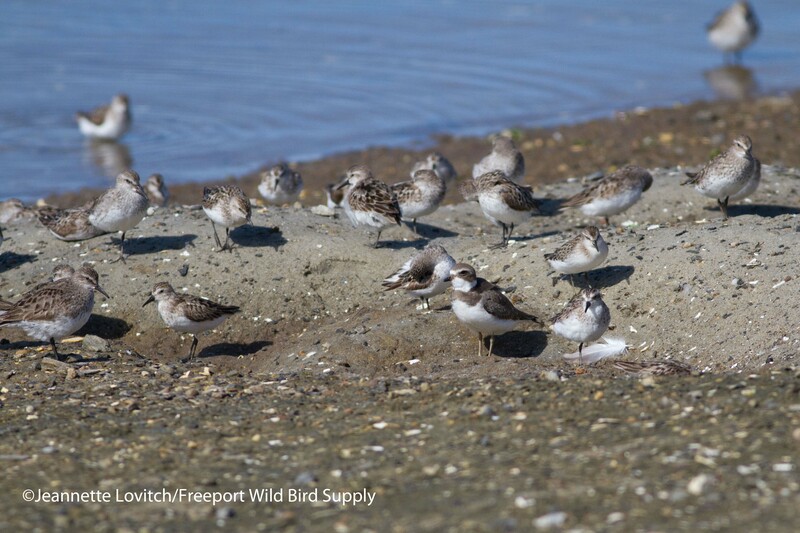 This entry was posted in Birding "Away", Birding in Maine, Private Guiding and Tours and tagged "Birds, Birding, Common Eider, Common Tern, Gadwall, King Rail, Least Tern, Little Blue Heron, Maine, Manx Shearwater, Massachusetts, Nelson's Sparrow, Roseate Tern, Saltmarsh Sparrow, Scarborough Marsh, Tours, travel, trips, Webhannet Marsh, Wells on June 15, 2017 by Derek. The 2016 Maine State List (and my own) Predictions Blog. The second record (and perhaps the first verified one) for Maine of Black-throated Sparrow was found in Winter Harbor on New Year’s Day, and continues through today, January 6th. I was tempted to chase it yesterday, but instead I am left to hope it sticks around until the end of next week when I return from a short business trip. Fingers crossed! 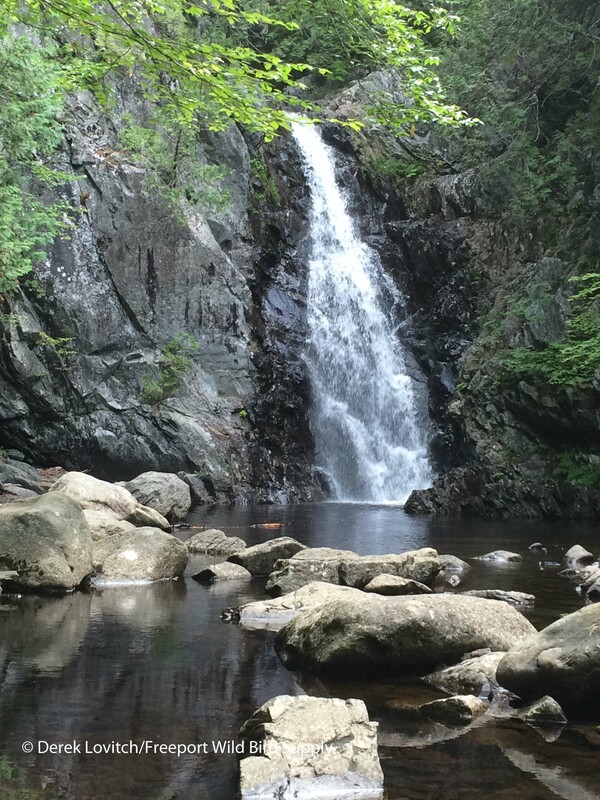 Before it arrived, I had begun to put together my annual list of the next 25 species to be found in Maine. I then follow that up with my own State List predictions, and no, Black-throated Sparrow was not on that list! I know, I know, you’ve been awaiting this with baited breath for this. So without any further ado, let’s get started with the annual Maine State Birds Predictions List. First, a quick recap of 2015. 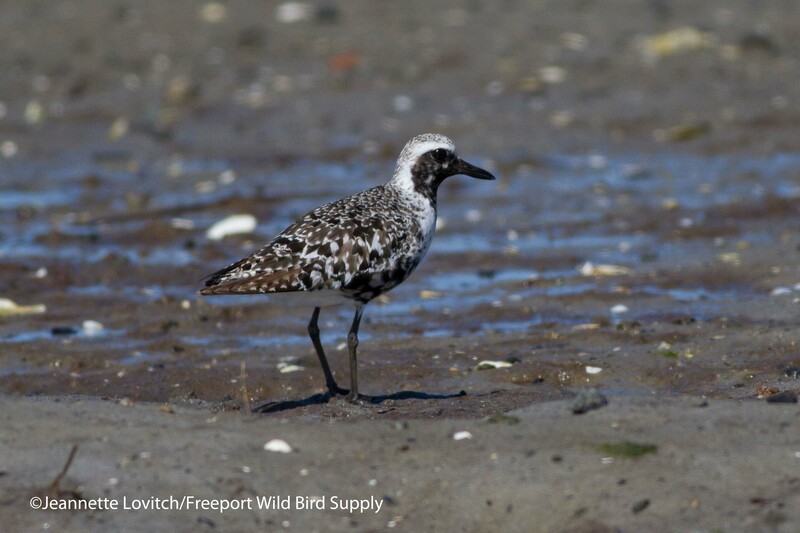 Only one species was added to the state’s all-time birdlist, a Surfbird, which was discovered at Biddeford Pool in March. It was not a species on anyone’s radar, and it was most definitely not on my Predictions List for 2015! 1)Neotropical Cormorant – The new #1! With populations expanding in the Midwest and observations of vagrants increasing around the East, this one is only a matter of time now! 8) Bermuda Petrel – see notes in last year’s blog entry at the link above. 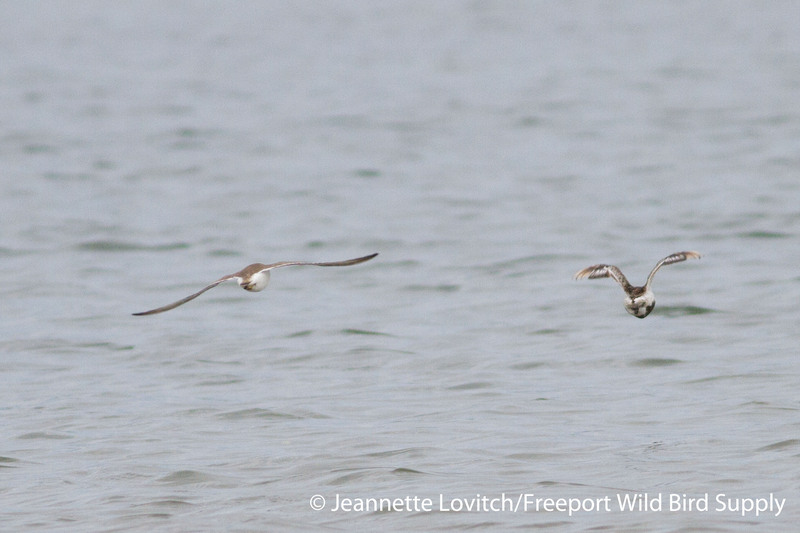 11) Audubon’s Shearwater – on “hypothetical” list, but I think the record is good. 14) “Western” Flycatcher (Pacific-slope/Cordilleran) – Hope it calls! After a spate of reports in the Fall of 2015, this is another western bird increasingly being detected well outside of range. 15) Vermillion Flycatcher – Ditto. 16) Common Ground-Dove – A virtual irruption of this bird this fall, including one as close to Massachusetts had me thinking we would have added this in 2015. Maybe one is still out there awaiting discovery. A) Gyrfalcon – Wells, 1/17/15 (Ranked #5). This is one I wanted for a while! It was seen sporadically between Wells Harbor and Salisbury, Massachusetts for about a month. If first showed up while we were away at a trade show, but luckily, I caught up with it shortly after our return. I saw it on the 17th, and managed some photos (my blog entry also includes more background about the sighting), but on April 5th, Jeannette got the better shots! 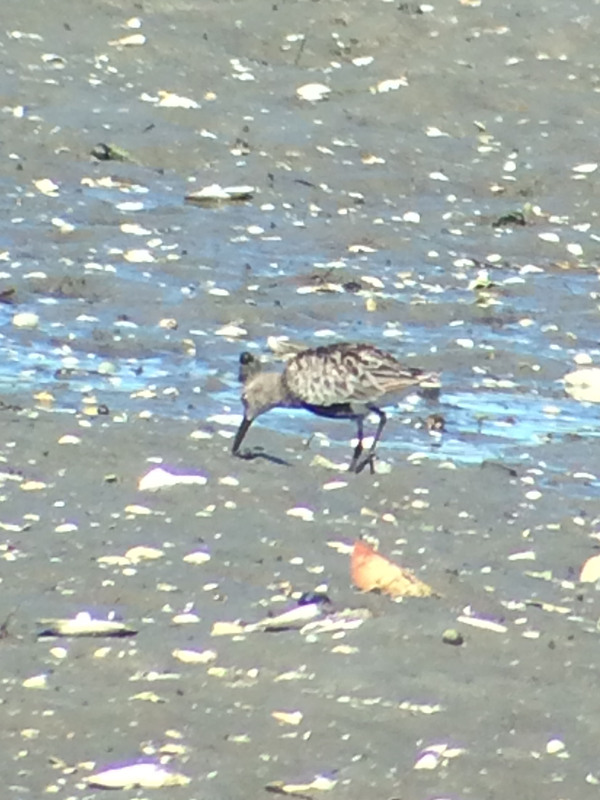 B) I also caught up with the aforementioned Surfbird on March 22nd (Definitely not on my list!) and Jeannette got these photos when we visited it again two days later. 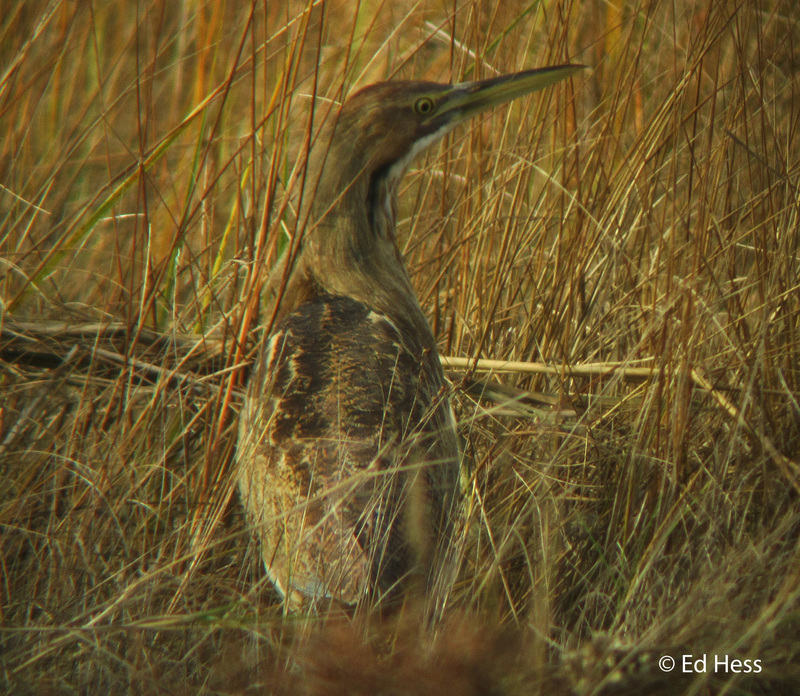 C) Clapper Rail – Scarborough Marsh, 9/22. I had it as an “Honorable Mention,” a list that I also keep to work off of to come up with each year’s respective Top 25. I missed a Franklin’s Gull on Sebasticook Lake in November, as it appeared just before I took a trip, and departed shortly after my return. There was also a one-day wonder on Stratton Island in Scarborough in June. 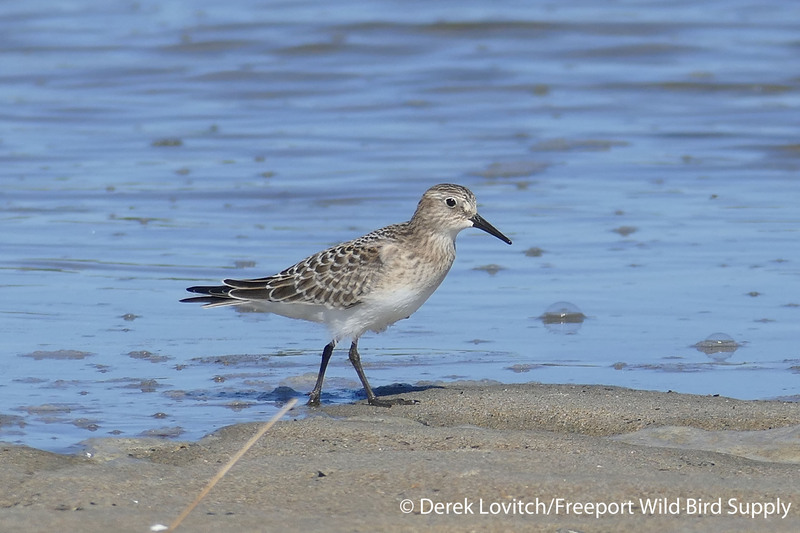 With an unprecedented incursion of Franklin’s Gulls into the East this fall (the Sebasticook Lake bird clearly preceded the events that brought record numbers to New Jersey and several birds to Massachusetts and New Hampshire), I thought this would be my fall – and I definitely worked for one! But alas. My two trips off of Bar Harbor this year did not yield a Great Skua (but a September trip did give me my 3rd South Polar Skua in the state! ), and once again my summer went by without a trip up north for American Three-toed Woodpecker. Well, there ya have it! We’ll check back next year to see how I did! This entry was posted in Birding in Maine, Rarities and Vagrants and tagged "Birds, Biddeford Pool, Birding, Black-throated Sparrow, Clapper Rail, Gyrfalcon, Neotropic Cormorant, predictions, rarities, Scarborough Marsh, Surfbird, vagrants, Wells on January 6, 2016 by Derek. 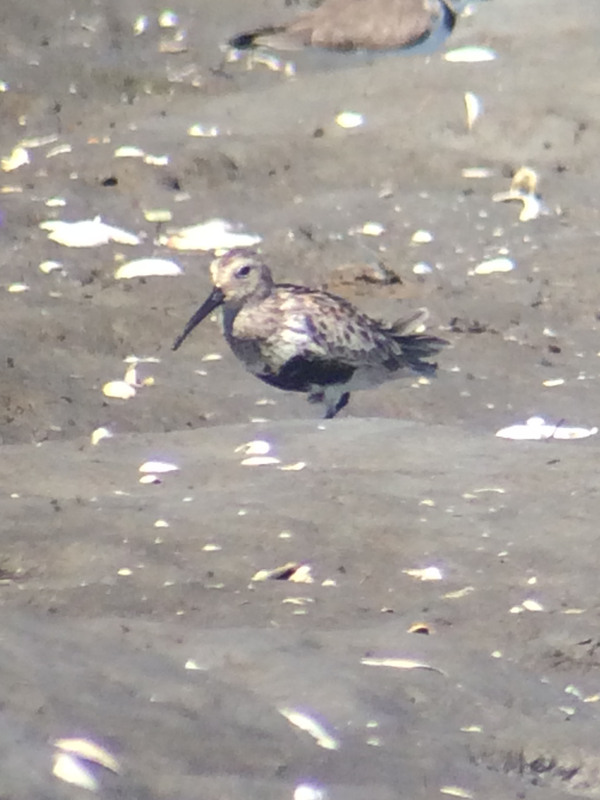 Earlier today, I found an interesting Dunlin at Pine Point, at the mouth of Scarborough Marsh. It flew in from across the channel on the incoming tide, and landed up Jones Creek, a couple of hundred feet away. It was an adult bird, including an extensively black belly, and it appeared pale above and rather small. 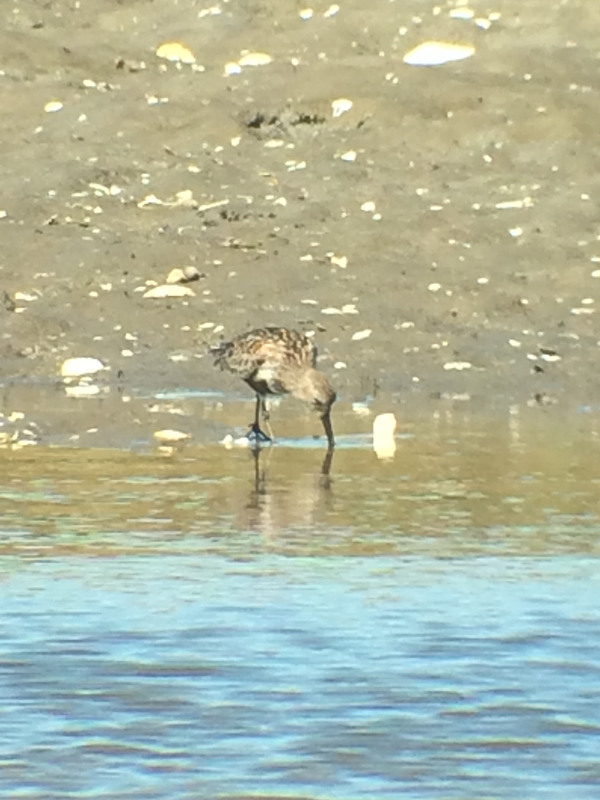 I needed a better look, but as I waited for the bird to slowly come closer, I posted to the Maine-birds listserve of a “…pale-backed Greenland (or other European-type)-like Dunlin,” mostly to alert other birders in the area (there were quite a few today as usual here). Based on the fact that this bird looked small, pale, and had not yet undergone molt, my mind immediately went to one of the “European” subspecies. 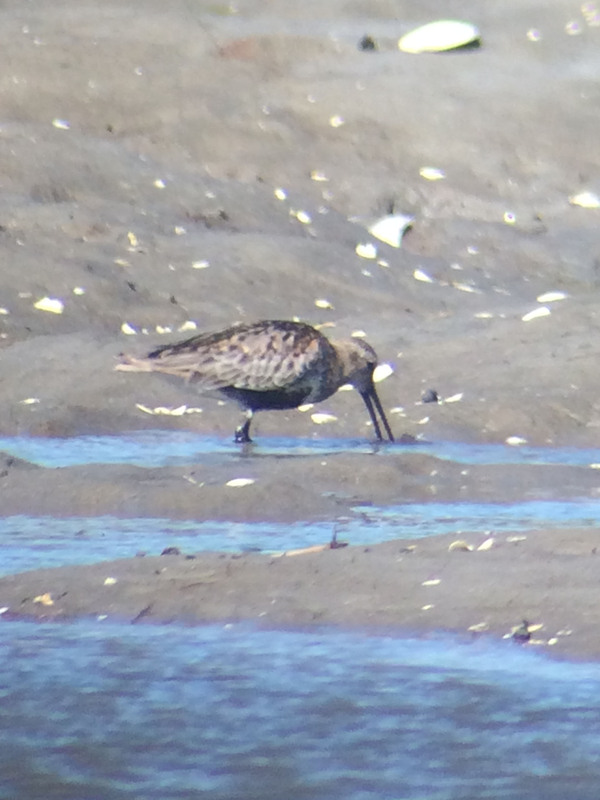 The bird had come considerably closer by the time Noah Gibb and Leon Mooney arrived, and it was clear that this was not a short-billed bird, perhaps on its own eliminating the Greenland subspecies arctica (one fitting this description was photographed this summer at Popham). 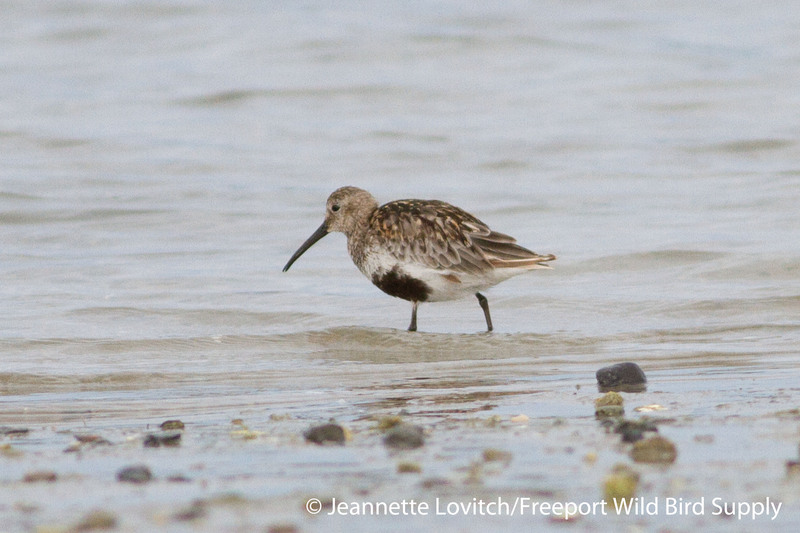 But I will admit to not knowing the full range of variation in bill length among all of the 10 subspecies of Dunlin, so we went to work photographing and studying the bird. 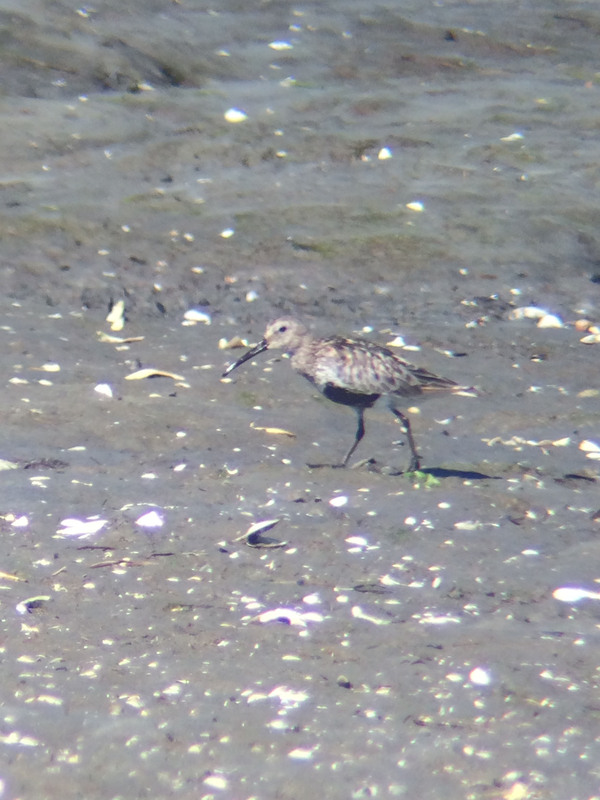 We agreed that the bird appeared small (although the three other “typical” juvenile Dunlin that were present were never seen nearby, a comparison that would have been most helpful) and “not short-billed.” It wasn’t the longest, droopiest billed Dunlin that we’ve seen, but well within the range of our typical migrant subspecies, hudsonia. As the bird came closer, plumage details and patterns blurred by heat shimmer and scope-shake in the 20+mph winds at a distance became more discernable. 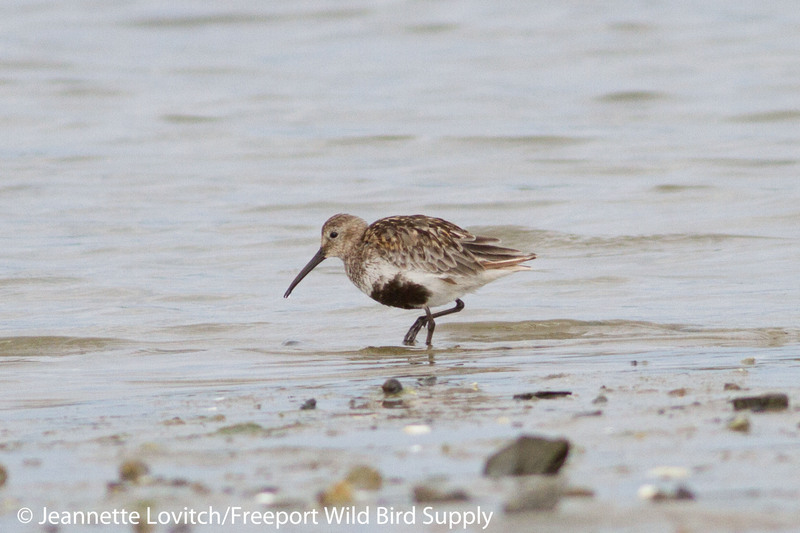 Arctica, the smallest and shortest-billed subspecies, also has a small belly patch. 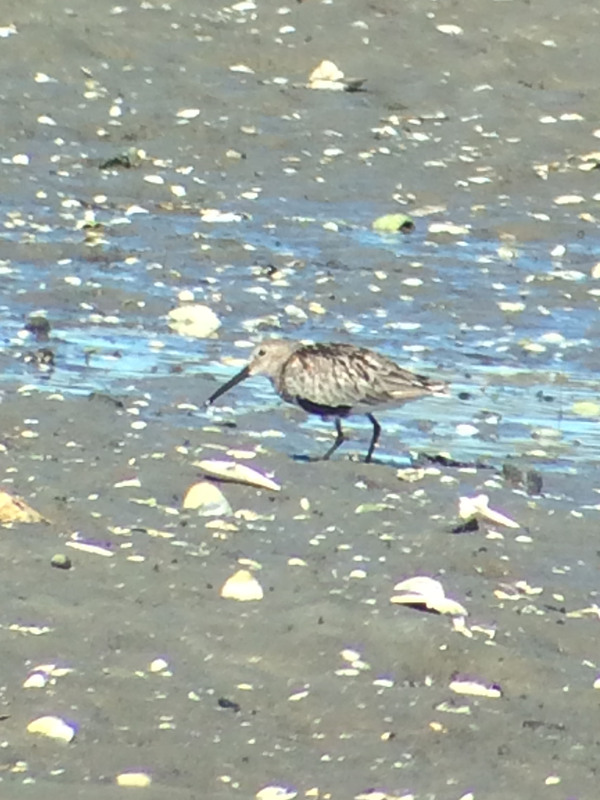 I don’t think this bird would be characterized as being short-billed or with a small belly patch. Meanwhile, in response to my Maine-birds post, Louis Bevier chimed in that the subspecies arcticola which breeds in northwestern Canada and Alaska “is somewhat paler-backed than our typical hudsonia and delays molt until after migration.” That was not something I had remembered, but it’s been a while since I’ve done much reading on the subject. 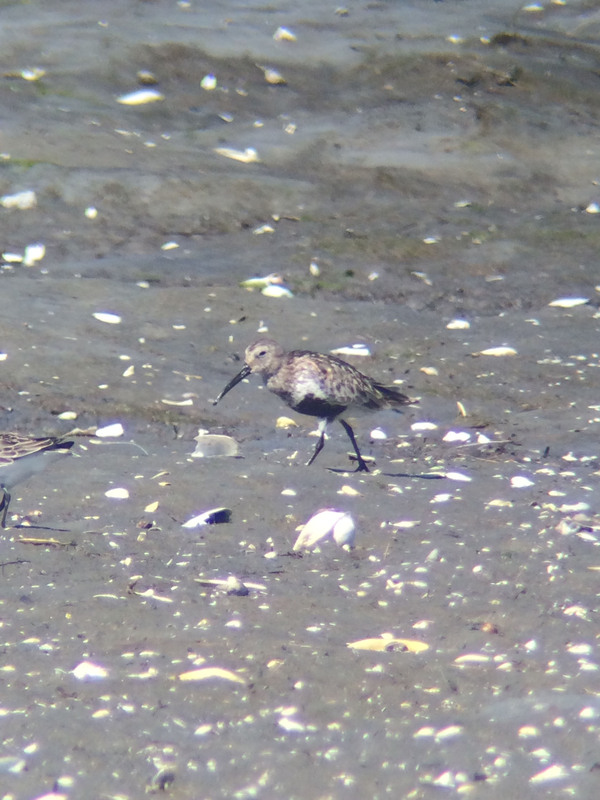 However, The Shorebird Guide by Michael O’Brien, Richard Crossley, and Kevin Karlson – which I grabbed as soon as I returned to the store – references arcticola as molting on the breeding grounds, as does our typical hudsonia. Bevier also stated that it is from “northern Alaska and the West Coast,” but that, I believe is actually referring to pacifica, which also molts on the breeding grounds (Arcticola winters in Japan, Korea, and China). It’s late September, and therefore it’s well past the end of the breeding season, making feather wear a serious issue. While I couldn’t see anything that suggested extreme wear (like on the flight feathers of a retarded 1st summer bird), there’s no doubt that any colors we were seeing were likely paler, and perhaps considerably so, than what the bird would be in fresh plumage. So where does that leave me with subspecific identification? Completely and utterly unsure. I present an array of phone-scoped images for you to ponder (or not). 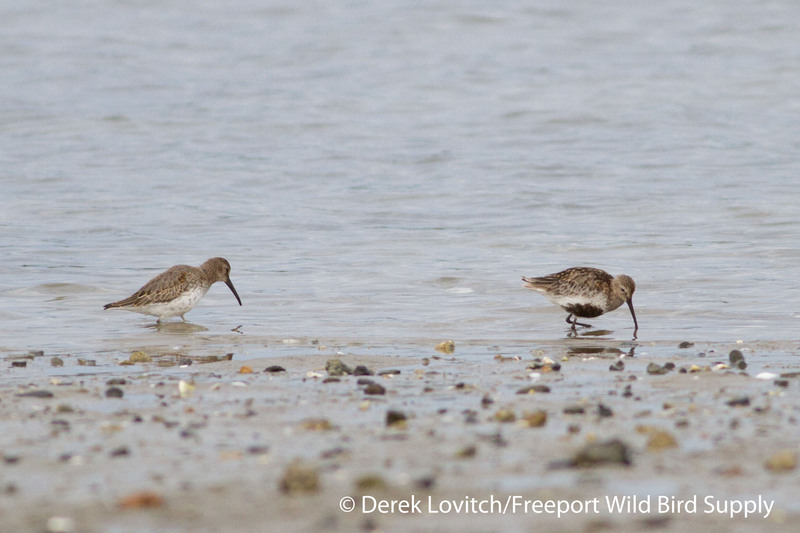 I’ll also send this link out to those who know more about Dunlin subspecies than I do. It’s going to be a busy two weeks for me (Birds on Tap!, Monhegan tour, than travel to a trade show), so I may not get back to an analysis of the analysis for some time, but if anything revelatory becomes apparent, I’ll discuss that here. 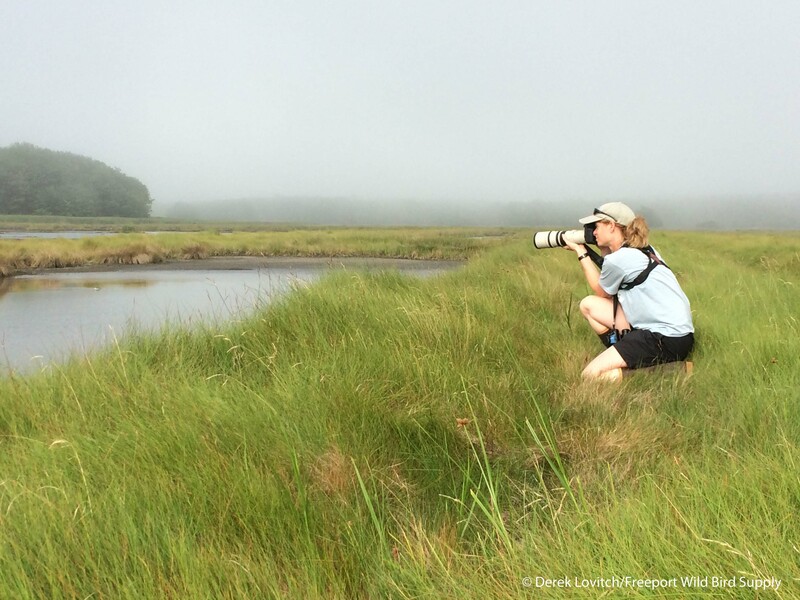 9/23 UPDATE: Jeannette and I observed the bird again yesterday, 9/22 and Jeannette took excellent photos, as usual. It was also a whole lot closer, allowing for much more detailed study. You can ignore those awful photos above, this is what the bird really looked like! 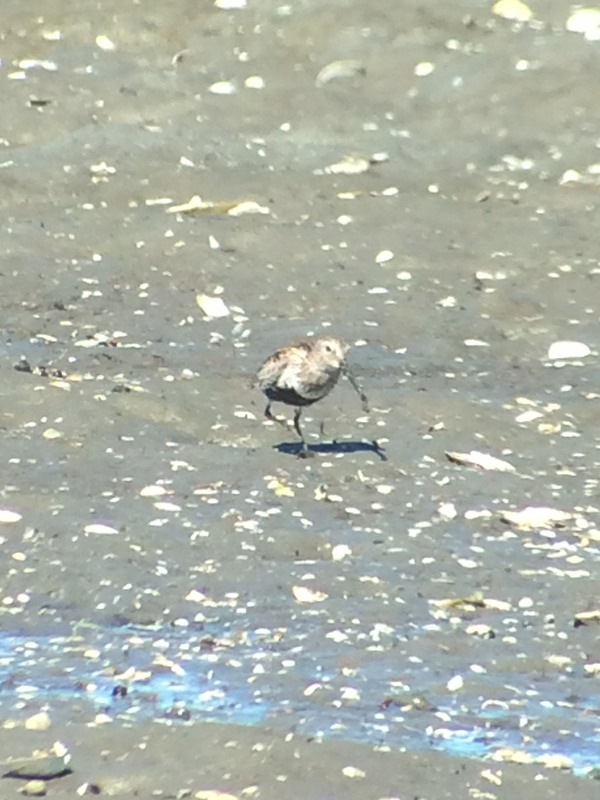 1) This bird IS in molt, as several new coverts and tertials are visible. 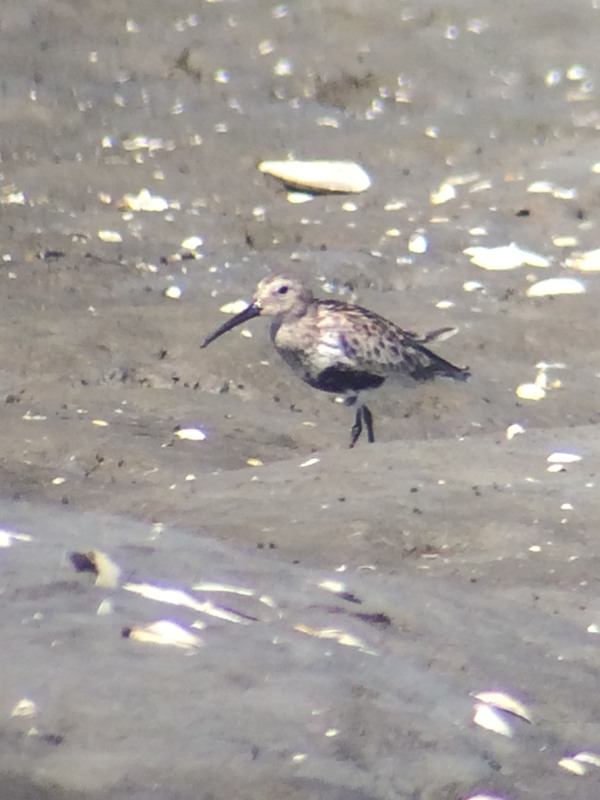 2) The outermost primaries (especially as you can see in flight) ARE indeed very heavily worn (it could be a 1st summer/2nd winter bird afterall?). 3) The size and structure looks more than fine for our typical subspecies, hudsonia. 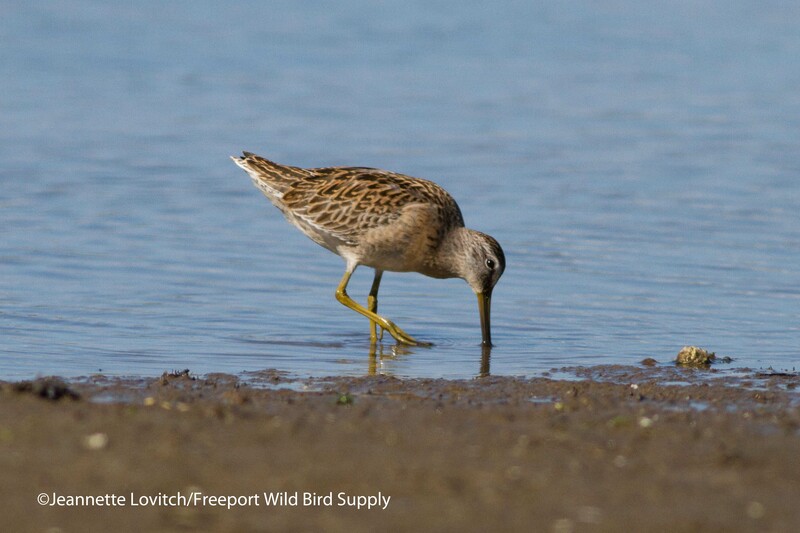 Those, combined with the details of the plumage, show that this is undoubtedly NOT a European bird. Instead, it is either one of the North American subspecies in very retarded molt (or perhaps a vagrant East Asian bird). I’ll synthesis what I learn when I return in a couple of weeks, but for now, I wanted to get these much more useful photos posted for you to ponder, enjoy, and/or ignore. 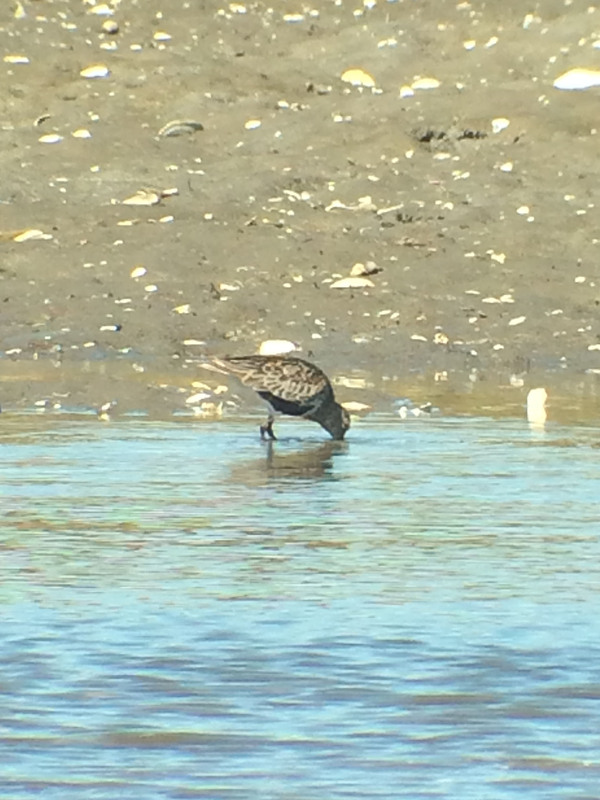 This entry was posted in Uncategorized and tagged "Birds, Birding, Dunlin, Greenland/European Dunlin, hudsonia, Maine, Pine Point, Scarborough Marsh on September 20, 2015 by Derek. Prairie Warbler, Cliff Walk, York Harbor. For the past ten years, I have organized the “South Coastal Maine Rarity Roundup” on the first weekend of November, when a group of friends get together to comb the coast from Kittery through Portland, focusing on finding lingering migrants, rarities, and hopefully “mega” vagrants. This year, our event was postponed a week thanks to the massive Nor’easter and snowstorm that rendered last Sunday essentially un-birdable. A week later than usual, we expected fewer birds, but perhaps “better birds.” At the very least, we would be less miserable than in the 34-degree weather with driving wet snow and 50mph winds of last Sunday. Recent active weather and some good birds in the area helped stoked our “rarity fever” fire, which I prognosticated about on Friday’s blog. Kittery –York: Katrina Fenton and Ken Klapper. Ogunquit/Kennebunkport: Turk Duddy and Linda Woodward. Wells: Doug Suitor, Andrew Gilbert, and Allison Moody. Biddeford-Saco: Becky Marvil, Nancy Houlihan, et al. 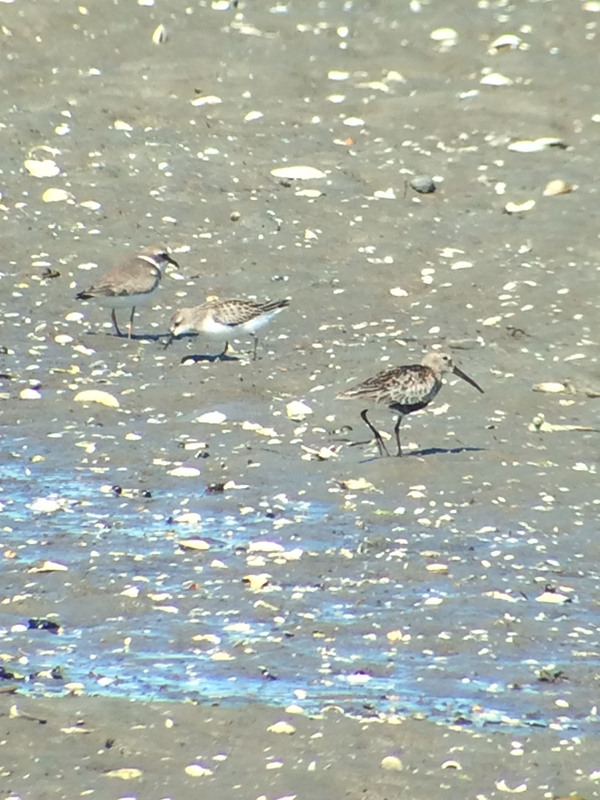 Scarborough Marsh: Noah Gibb, Ed Hess, et al. Cape Elizabeth: Robby Lambert and Lois Gerke. South Portland: John Berry and Gordon Smith. Portland: Derek Lovitch, Kristen Lindquist, Evan Obercian, and Jeannette Lovitch. Although most teams described the day as “fairly slow” overall, we did indeed find some good birds, and surprisingly good diversity. 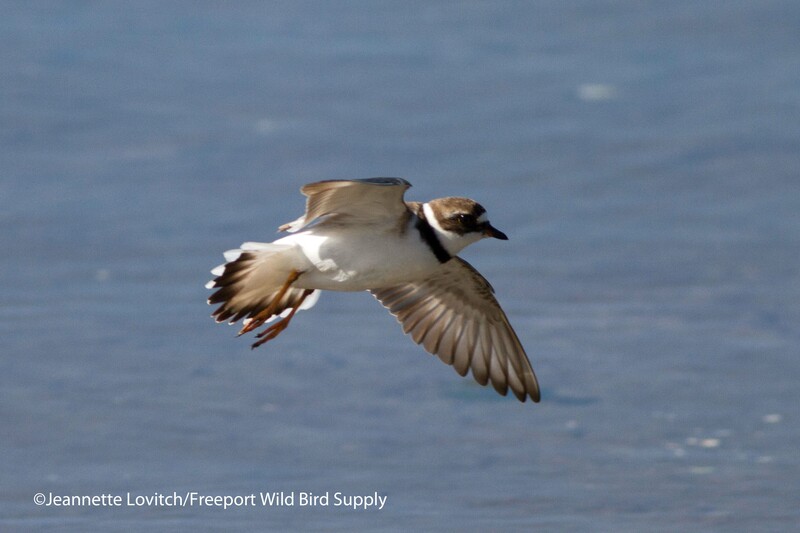 121 species (plus two subspecies) were recorded in all, well above the 11-year average of 114 species. Two new species were added to the all-time Rarity Roundup list: American Redstart and Lincoln’s Sparrow. Meanwhile, Brown Creeper went unrecorded for the first time, likely a factor of the scrubby habitats and open areas that we focus on at this time of year. Unfortunately, despite overall high-quality birds, we once again failed to turn up any “mega” rarities. However, we did have a lot of fun as always, which really is the most important part. Or so we tell ourselves. American Wigeon: 4 at Hill’s Beach; 1 at Evergreen Cemetery. NORTHERN SHOVELER: 1 pair, Deering Oaks Park, Portland. 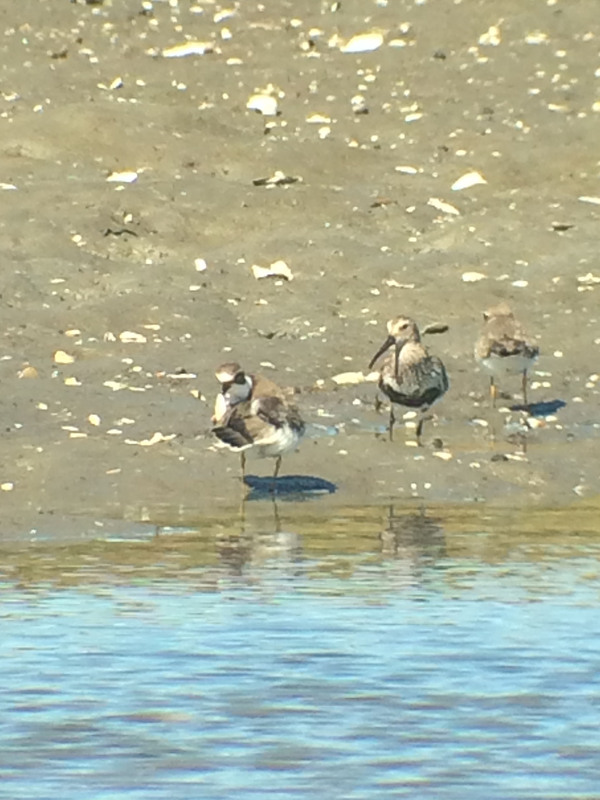 Northern Pintail: 2, Fortunes Rocks Beach. Common Merganser: 2, Saco Riverwalk. Ruddy Duck: 40, Prout’s Pond. AMERICAN BITTERN: 1 Eastern Rd; 1 Drake’s Island Road. Great Egret: 1, Parson’s Beach Rd. 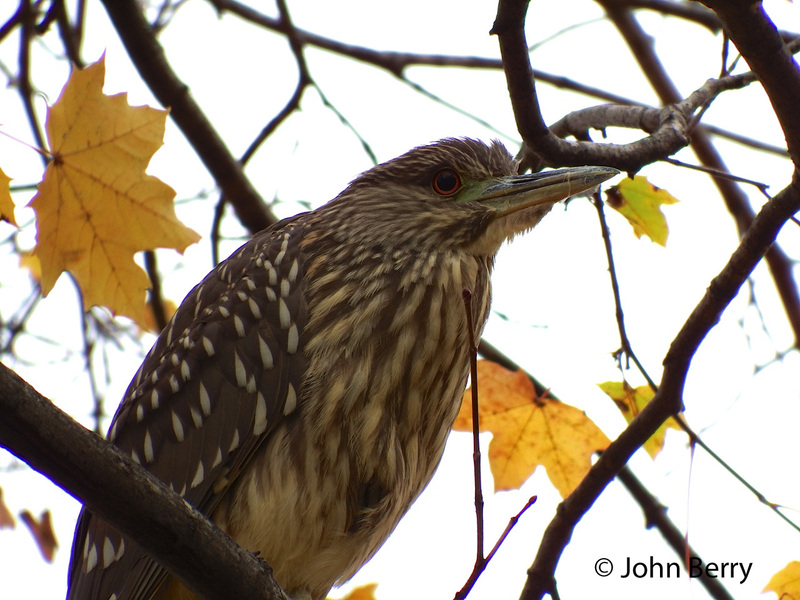 Black-crowned Night-Heron: 1 Mill Creek Park; 4 Mercy Pond. Northern Goshawk: 1, Perkin’s Cove. Ruffed Grouse: 1, Laudholm Farms. American Coot: 64, Prout’s Pond. 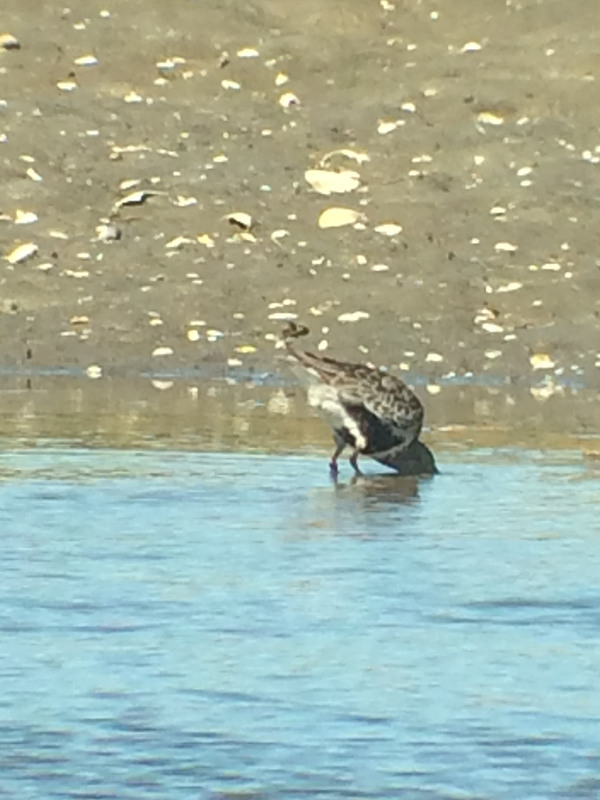 SEMIPALMATED SANDPIPER: 1, Pine Point; 1 Wells Beach jetty. 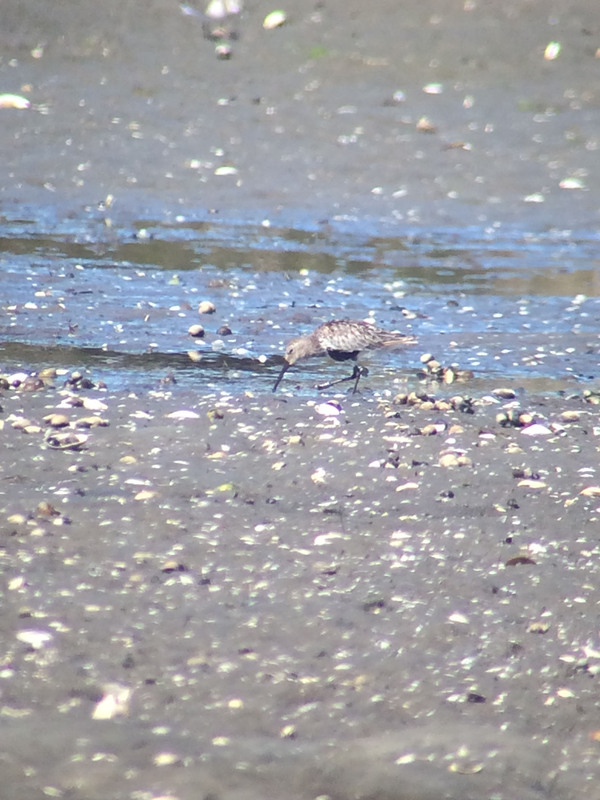 White-rumped Sandpiper: 2 Timber Point; 1 Eastern Road. Yellow-bellied Sapsucker: 1, Rte 103, Kittery. Eastern Phoebe: 1, Fore River Parkway Trail; 1 Pond Cove. Northern Shrike: 1, Fort Williams Park; 1 Laudholm Farms. RED-EYED VIREO: 1, Chadwick St, Portland. Carolina Wren: 6 total (low by recent standards). Gray Catbird: 1, Hill’s Beach; 1 Laudholm Farms. ORANGE-CROWNED WARBLER: 1, Pond Cove. NASHVILLE WARBLER: 1, Saco Riverwalk. NORTHERN PARULA: 2, Fort Williams Park. PRAIRIE WARBLER: 1, York Cliff Walk. “Yellow” Palm Warbler: 1, Saco Riverwalk. “Western” Palm Warbler: 1, Private property in Cape Elizabeth. BLACKPOLL WARBLER: 1, Saco Roverwalk. Common Yellowthroat: 1, Capisic Pond Park. AMERICAN REDSTART: 1, Saco Riverwalk. CLAY-COLORED SPARROW: 1 Community Park, Wells; 1 Private property in Cape Elizabeth. LINCOLN’S SPARROW: Capisic Pond Park. Lapland Longspur: 51, Eastern Rd. 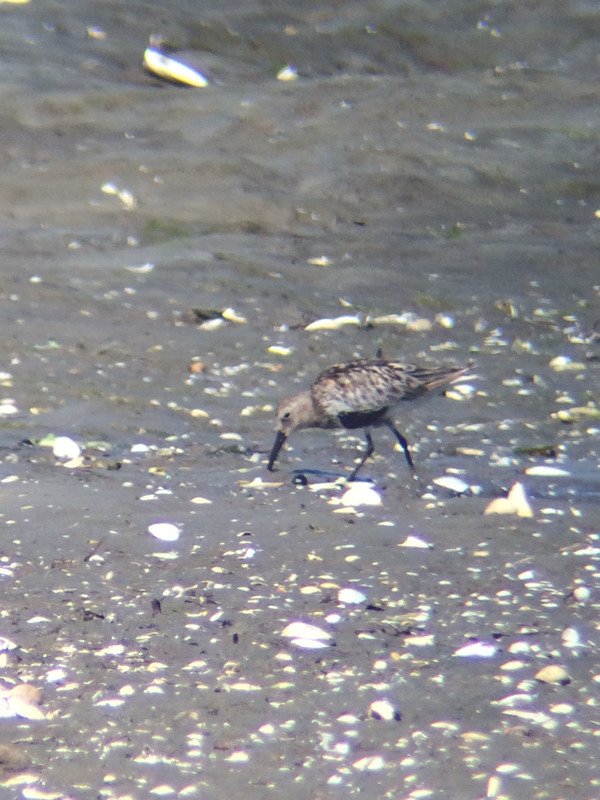 My guess is the later date this year helped those Harlequin Duck, Purple Sandpiper, and Lapland Longspur totals, and perhaps also the higher counts of Ruddy Ducks and American Coots. 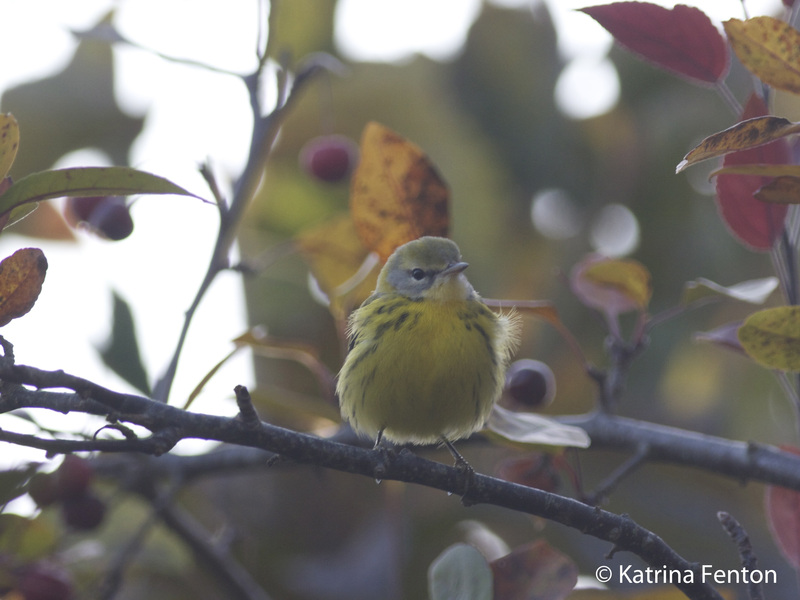 An overall mild fall likely resulted in the late departure of so many “half-hardies” such as Ruby-crowned Kinglets, Hermit Thrushes, and Chipping Sparrows. And the steady increase of Red-bellied Woodpeckers continues. So not bad, and once again it gives us a fascinating snapshot into the under-birded late fall season along the southern Maine coast. Personally, I was joined by friends as usual in Portland. While Jeannette (and Sasha) birded Capisic Pond Park, Evergreen Cemetery, and Back Cove, Kristen and Evan joined me on my march through the Portland peninsula. Jeannette gets the territory’s bird-of-the-day honors with the First Rarity Roundup Record Lincoln’s Sparrow at Capisic Pond Park, where she also had the count’s only Common Yellowthroat. The peninsula, however, was about a slow as I have ever experienced it on a Rarity Roundup, likely due to the later date and resultant fewer food supplies. But even still, the Eastern Promenade was uncharacteristically slow, and development and ridiculous bush-whacking and clear cutting by the City of Portland diminished the value of the habitat along West Commercial Street. With a few interesting birds, including our best bird of the day, a Red-eyed Vireo in a front yard in the West End, I wish I had gotten to this neighborhood sooner in the day, but alas, hindsight is always 20/20. And while Portland’s overall performance paled in comparison to the hauls from recent years, we still had some great birds. The flock of 60-75+ White-winged Crossbills that flew over us on the Eastern Promenade were the first I have seen all year, the pair of Northern Shovelers in Deering Oaks Park were unexpected, and the 4 immature Black-crowned Night Herons at Mercy Pond were good to see. But perhaps the bird of the day was the Hermit Thrush. We had an impressive total of 31 throughout our day, including several in small downtown gardens and landscaping corners. White-throated Sparrow (including 24 scattered around downtown as well) were also prevalent. These two species were the only native birds – as usual – that we found in the center of downtown Portland. This always fascinated me, as these two species seem particularly regular in the heart of concrete jungles. 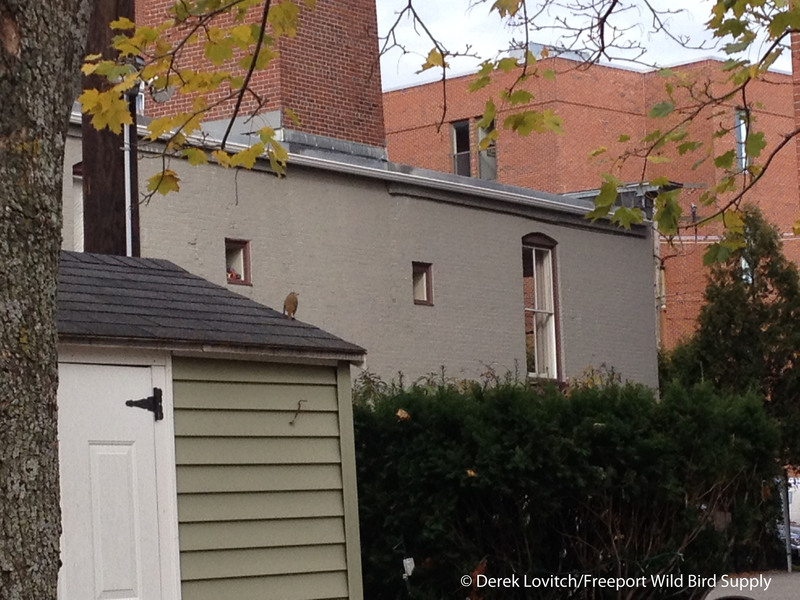 I think this phone-photo of a Hermit Thrush captures the essence of this intriguing topic of conversation. Perhaps next year we will find the “next big one.” Until then, I have some more fun data to play with. American Bittern, Eastern Rd, Scarborough Marsh. 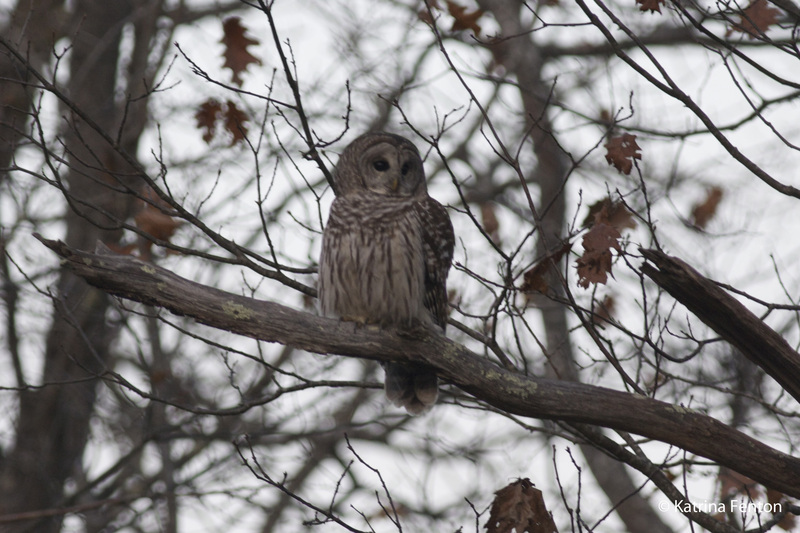 Barred Owl, Fort Foster, Kittery. Juv. Black-crowned Night-Heron, Mill Creek Park, South Portland. 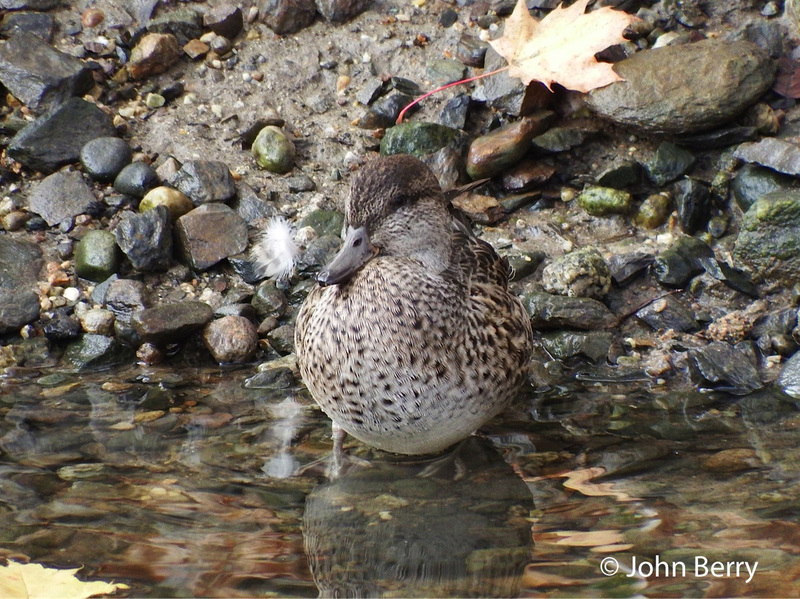 Female Green-winged Teal, Mill Creek Park. 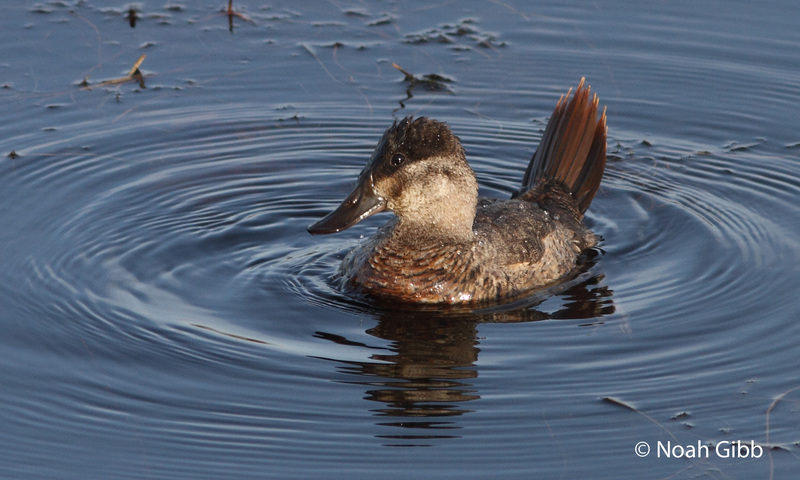 Female Ruddy Duck, Prout’s Pond, Scarborough. 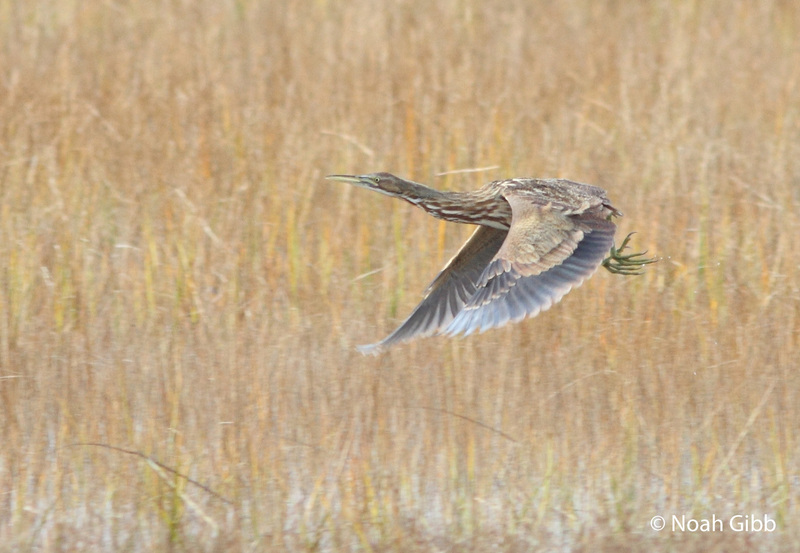 This entry was posted in Birding in Maine and tagged "Birds, American Bittern, Barred Owl, Birding, Black-crowned Night-Heron, Green-winged Teal, Hermit Thrush, Portland, Prairie Warbler, rarities, Rarity Roundup, Ruddy Duck, Saco, Scarborough Marsh, vagrants on November 10, 2014 by Derek.